INDIANAPOLIS (Sept. 28, 2018) — Nearly 4 in 10 Americans age 65 and over – 37 percent – say they haven’t had conversations with anyone about preparing for their possible need of long-term care (LTC). The proportion was similar to American adults overall, 38 percent of whom said they hadn’t had such conversations. 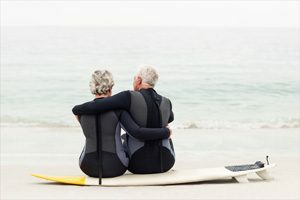 A recent survey conducted online by The Harris Poll on behalf of OneAmerica® asked 2,006 adults age 18 and over1 whether they’d had conversations with a family member, spouse or partner, friend, health care professional, financial planner, insurance agent, attorney, clergy member, accountant or someone else about preparing for their possible need of LTC. 62 percent of Americans say they have had these conversations, with adults age 65 and older more likely than younger adults (18-64) to have talked to their spouse/partner (38% vs. 27%) and/or a financial planner (17% vs. 7%). Interestingly, 65 percent of adults age 18-34 say they have had conversations about their possible LTC needs. 2 “How Much Care Will You Need?” U.S. Department of Health and Human Services, LongTermCare.gov. Accessed at https://longtermcare.acl.gov/the-basics/how-much-care-will-you-need.html on Sept. 26, 2018.